Rising maximum and minimum temperatures resulting from climate change will impact many crops currently grown in the Northern Territory. Temperature is a key trigger for plant flowering, which in turn leads to fruiting. Department of Primary Industry and Resources (DPIR) Director Plant Industries Mila Bristow said the department is working with horticultural producers to help them understand how climate change could impact their bottom line. “A change in the temperature thresholds that govern flowering here in the Territory will mean some varieties of mangoes, and other crops, will be impacted,” Dr Bristow said. “It is important that we learn with our producers how this impact could challenge our mango production by developing our understanding of climate change. DPIR, the National Environmental Science Program Earth System and Climate Change Hub, Australian Mangoes (AMIA) and the Northern Territory Farmers Association will hold a workshop to develop understanding of climate change and its effect on primary production in the Northern Territory to coincide with the Australian Mango Conference being held in Darwin in March. 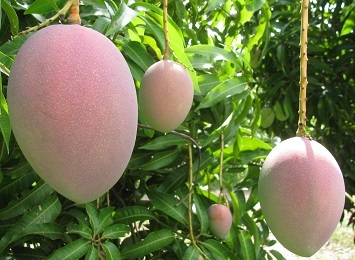 The ‘Making cents of climate change’ workshop on Tuesday 14 March is for horticultural producers – with a focus on mangoes - and will provide an introduction to climate change science. Attendees will hear from local and interstate specialists about climate processes and drivers, climate change projections and how this information is relevant to our Territory production systems. The workshop program will be available in coming weeks. The workshop will be held at Berrimah Farm on Tuesday 14 May from 11.30 to 3.30. For more information and to reserve a place, please contact Maddison Clonan on maddison.clonan@nt.gov.au or 8999 2293.